June 29th in Social Media, Wordpress Plugins by Wordpress Jedi . 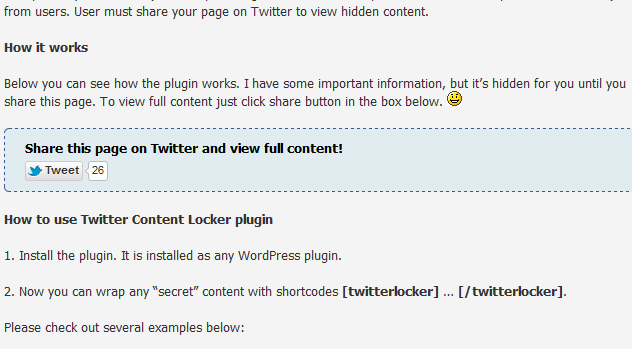 Twitter Content Locker: a pretty decent plugin to promote your content on Twitter with. It hides parts of your content and unveils them as soon as your visitors retweet your story. 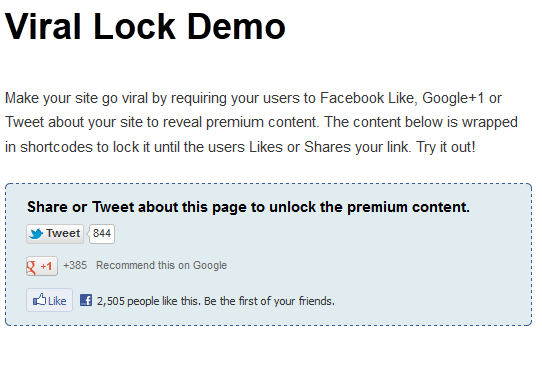 Viral Lock: this plugin supports Google+, Facebook, and Twitter. It makes your content go viral by forcing your visitors to share your content before seeing the rest of your work. 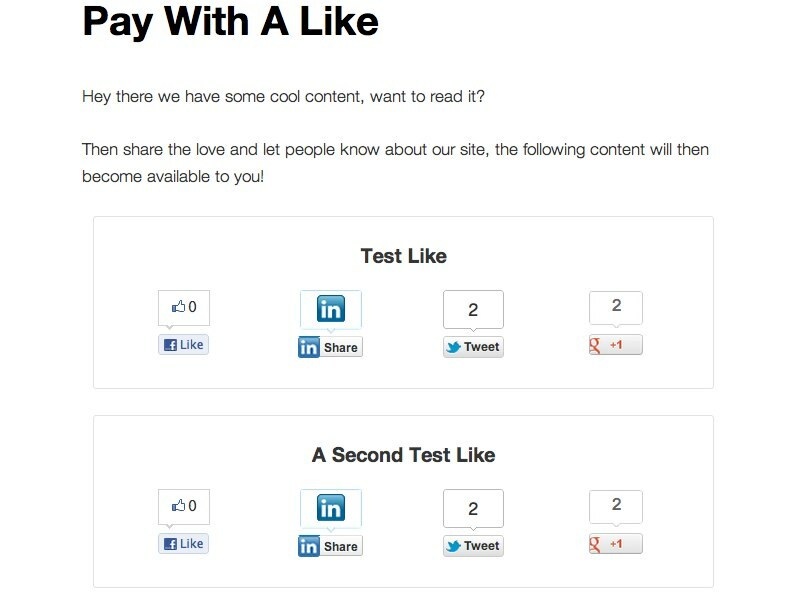 Pay with a Like: gives your visitors multiple ways to pay for your content. It works for Twitter, Google+, Facebook, and LinkedIn. 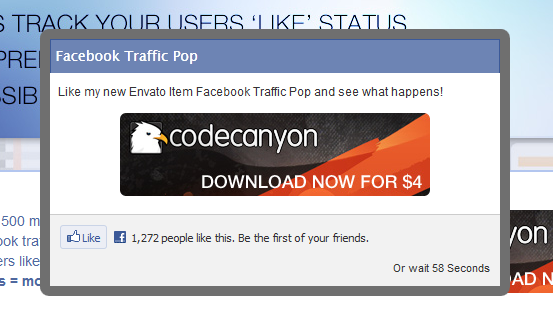 Facebook Traffic Pop: this plugin does not restrict access to your content permanently. But it does require your visitors to wait a few seconds before being able to access your articles (unless they like your posts that is). 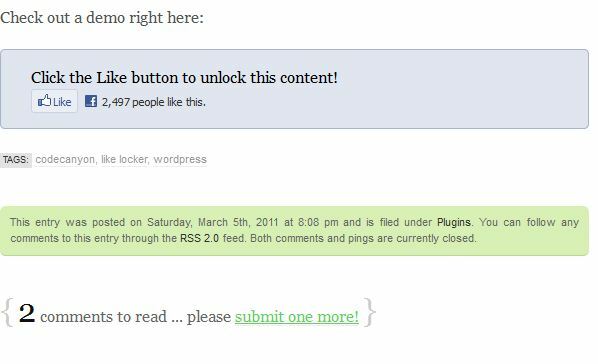 WordPress Like Locker: a Facebook like locker plugin that asks your visitors to “like” your article before they can see it. 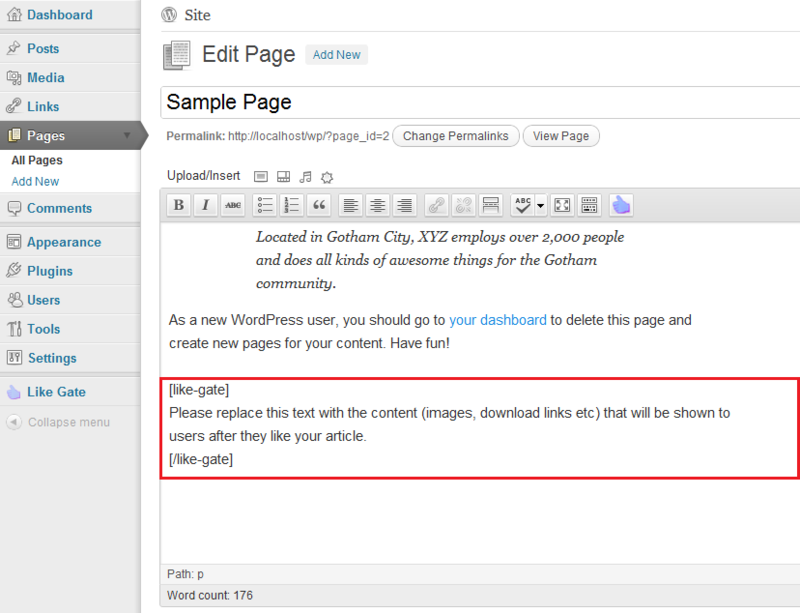 Like Gate: a free plugin webmasters can take advantage of to increase the number of likes their articles get. Just use the appropriate tag to lock certain segments of your posts and this plugin does the rest. 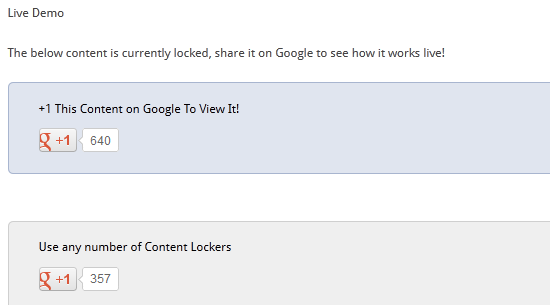 Google +1 Content Locker: very similar to the first plugin but this one encourages your visitors to vote for your articles on Google+. Have you tried any of these plugins? Which one are you impressed with the most? Must have been some marketing 'genius' that thought using a dark pattern like this would be a good idea. Forcing users to do anything is idiotic! All it demonstrates in the desperate measures some site go to to be popular, dumb! If I ever came across a site that did this, I'd leave rather than endorse something with a like or a tweet before I know what I'm sharing/liking. I don't disagree with you. It can be a huge turnoff. I have seen some popular sites use this which is why we even wrote this. I think both you and Antony make a great point. This was meant to be a "how to" piece and not a marketing advice piece. We cover all kinds of topics on WP JEDI, many of which are requested by our readers. The plugin I posted above is the #1 top selling plugin on CodeCanyon of plugins of this kind. And has a 5 start rate. You Should also check out http://likeredirect.com . Its Pretty Cool. You can Run LikeOffers Using it!